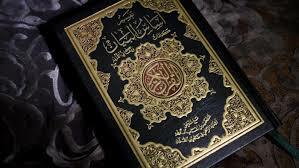 Qur’an The Islamic religion claims that the Qur’an, revealed allegedly by the angel Gabriel to the prophet Muhammad beginning in 610 A.D., is the inspired and inerrant word of God. Such an assertion, however, is highly problematic, and many, many arguments could be given to convincingly refute it. In this article, I am going to offer one of those reasons, which I perceive to be the most damning. First, a note of qualification. By “the Bible” I refer to the Old and New Testaments as we possess them today and as possessed by Christians at the time of Muhammad in the seventh century. Granted, there are textual variants in the New Testament Greek manuscripts, but the core message of the New Testament remains the same — they are thus immaterial to what I’m attempting to establish here. Premise 1 need not be defended, since it is self-evident that the two alternatives are mutually exclusive and exhaustive possibilities. Premise 2 is easy to establish, since the Qur’an and the Bible fundamentally contradict one another. The most obvious item of conflict relates to whether Jesus died by crucifixion, denied by the Qur’an (Surah An-Nisa 157-158) but affirmed throughout the New Testament and indeed a cornerstone of New Testament theology. The Qur’an also repeatedly denies the core Biblical concept that Christ is the incarnate eternal Son of God, affirming instead that He is only a messenger or prophet (e.g. Surah Al-Maeda 75). The Qur’an, on multiple occasions, denies the Trinity (e.g. Surah An-Nisa 171; Surah Al-Maeda 73). The Qur’an, of course, repeatedly misrepresents Christian theology on these matters, as I discuss here, but this is immaterial to the issues that concern us here. If, then, the Christian Scriptures are indeed the inspired Word of God, the Muslim Scriptures cannot be, since the Qur’an so fundamentally disagrees with the theology of the Bible. The Lord your God will raise up for you a prophet like me from among you, from your brothers—it is to him you shall listen— just as you desired of the Lord your God at Horeb on the day of the assembly, when you said, ‘Let me not hear again the voice of the Lord my God or see this great fire any more, lest I die.’ And the Lord said to me, ‘They are right in what they have spoken. I will raise up for them a prophet like you from among their brothers. And I will put my words in his mouth, and he shall speak to them all that I command him. And whoever will not listen to my words that he shall speak in my name, I myself will require it of him. The Levitical priests, all the tribe of Levi, shall have no portion or inheritance with Israel. They shall eat the Lord’s food offerings as their inheritance. They shall have no inheritance among their brothers; the Lord is their inheritance, as he promised them. Here, “brothers” can only refer to the Israelites. Since the prophet of verses 15-19 is to come from among the “brothers” of the Israelites, Muhammad is excluded as a contender for its fulfillment. It is extremely difficult to read Muhammad into this text, since the promised Helper is said to be with Jesus’ followers forever and in them, something not accomplished by Muhammad. The Muslim interpretation also utterly ignores the overall context of the text. Jesus here is speaking to his disciples. If the promise refers to Muhammad, then it was fulfilled six hundred years later. Thus, everything said by Jesus to the disciples would not be relevant to them. Nevertheless, I tell you the truth: it is to your advantage that I go away, for if I do not go away, the Helper will not come to you. But if I go, I will send him to you. And when he comes, he will convict the world concerning sin and righteousness and judgment: concerning sin, because they do not believe in me; concerning righteousness, because I go to the Father, and you will see me no longer; concerning judgment, because the ruler of this world is judged. “I still have many things to say to you, but you cannot bear them now. When the Spirit of truth comes, he will guide you into all the truth, for he will not speak on his own authority, but whatever he hears he will speak, and he will declare to you the things that are to come. He will glorify me, for he will take what is mine and declare it to you. This text makes it even more clear that the Helper is sent by Jesus and comes to these specific disciples to whom Jesus is speaking. Muhammad did not come for a further six centuries. We are also told that the Helper will glorify Jesus. Muhammad certainly did not glorify Jesus. One could proceed to go through all of the passages that Muslims typically cite as alleged prophecies concerning Muhammad. None of them, however, fare any better than these. Indeed, the two I have addressed above are the most often cited texts — the favorites of Muslim apologists. Surah Al-Maeda 43-49: “How do they [i.e. the Jews] ask you to judge while the Torah is with them, having the ruling of Allah? Still, they turn away, after all that. They are no believers. Surely We have sent down the Torah, in which there was guidance and light by which the prophets, who submitted themselves to Allah, used to judge for the Jews, and (so did) the Men of Allah and the Men of knowledge, because they were ordained to protect the Book of Allah, and they stood guard over it. So, (O Jews of today,) do not fear people. Fear me, and do not take a paltry price for My verses. Those who do not judge according to what Allah has sent down are disbelievers. We prescribed for them therein: A life for a life, an eye for an eye, a nose for a nose, an ear for an ear and a tooth for a tooth; and for wounds, an equal retaliation Then, if one forgives it, that will be expiation for him. Those who do not judge according to what Allah has sent down, they are the unjust. We sent Isa son of Maryam after those prophets, confirming the Torah that was (revealed) before him, and We gave him the Injil having guidance and light therein, and confirming the Torah that was (revealed) before it; a guidance and a lesson for the God-fearing. And the people of the Injil must judge according to what Allah has sent down therein. Those who do not judge according to what Allah has sent down, they are the sinners. 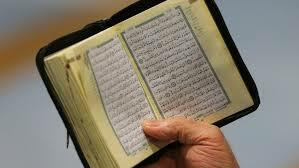 We have sent down to you the Book with truth, confirming the Book before it, and a protector for it. So, judge between the according to what Allah has sent down, and do not follow their desires against the truth that has come to you. For each of you We have made a law and a method. Had Allah willed, He would have made a single community of people, but (He did not), so that He may test you in what He has given to you. Strive, then to excel each other in good deeds. Notice in particular how this passage ends. Jesus is accused of being a “wizard”. The Qur’an states that “the disbelievers among them said, ”This is a clear magic.”” It seems probable that this source is where the author of the Qur’an is drawing from on this point. As far as ancient texts go, the New Testament is the best attested of antiquity, based on the sheer volume of manuscripts (between 5 and 6 thousand Greek manuscripts) and the earliness of those manuscripts. Moreover, the earliest manuscripts we have demonstrate the existence not of a single line of corrupt transmission, but multiple lines of transmission with varying levels of accuracy. Multiple lines of transmission defy the possibility of being under the control of any central editing process. The burden of proof lies with the skeptic who asserts corruption of the primitive New Testament texts since the extant manuscripts show multiple lines of independent transmission. In any case, even if no New Testament manuscripts were preserved, we would still be able to construct the vast majority of the New Testament from quotations by early church fathers.